It depends. We offer several monthly membership options. Some of our members choose to use a month-to-month membership while others make a commitment in return for a lower monthly payment. You can check out our various membership options here. Foundations courses and memberships can be purchased via FrontDesk. If you have any issues getting signed up, just shoot us an email at info@crossfithierarchy.com - or just come in and we'll get you set up in person. No! We will get you into shape. WHY DO CROSSFIT GYMS CHARGE MORE THAN VIDA? The difference is similar to renting a Bobcat at an equipment rental store for 2 hours vs. hiring a professional excavator with an operator: The rental store provides "don't kill or maim yourself" instructions, and that's it. They're hoping you keep that machine as long as possible and pay them the money. The professional contractor with the excavator is a master of his craft. It's more expensive, but the job gets done right, and as quickly and efficiently as possible. What if I just want to look good naked? CrossFit isn’t designed to make you look good naked, but it is an unavoidable side effect of increasing your work capacity at life’s most basic tasks. Aesthetics are best obtained from training for performance. Always and everywhere, the human body has a certain appearance when it performs at a high level. If you want to look like an athlete, you have to train like one — there are no shortcuts. CrossFit seems intimidating. Do I need experience first? Everyone you will meet at CrossFit Hierarchy was a beginner at some point, we remember what it feels like! We pride ourselves on our incredible coaches and our welcoming community of athletes. During your first class, we’ll warm up then walk you through some of the fundamental CrossFit movements that will allow you to complete your first workout. The workout will be scaled to be appropriate to your current fitness level. What if I dont want to get bulky? You can injure yourself in any activity, but CrossFit is more safe than many activities people perform every day. We work with people in 3 stages. First: mechanics (learning how to do the movements with correct technique), Second: Consistency (the ability to do the movements over and over again with safe and relatively efficient technique), Third: Intensity (the speed at which you do the movements). One does not come before the other. We always start with Mechanics. No sport is risk-free; if you want the world’s safest fitness program, you’ll have to forego fitness. The possibility of injury pales in comparison to the risk of not participating at all. I HAVE AN INJURY OR OTHER CONCERN ABOUT MY HEALTH. CAN I STILL DO YOUR PROGRAM? Please talk to your doctor before starting CrossFit, or any fitness or nutrition program. We can accommodate most any fitness level, and can work around practically any limitation, but your fitness to do our program is a decision between you and your doctor. Any sort of comfortable workout clothing and athletic shoes will do the trick. Kalorama is a relatively quiet neighborhood and there's usually plenty of street parking. If you're sneaky, you can park in the Harris Teeter garage next door. All classes are an hour long, but the actual workout will vary from day to day. All classes are taught by a certified CrossFit instructor. You can see our coaches’ certifications here. Yes, we love well-behaved WOD dogs! Feel free to bring it inside, plenty of space. I‘M FROM OUT OF TOWN. WHAT’S YOUR DROP IN POLICY? 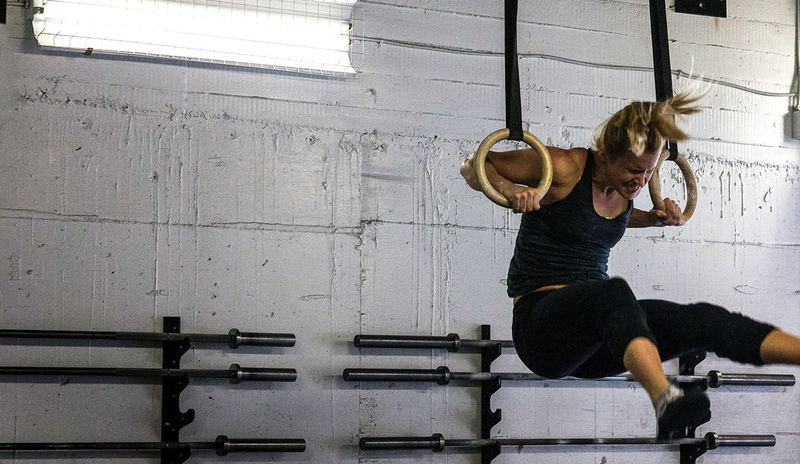 If you are an experienced CrossFitter from another affiliate, you are welcome to drop-in with us. Please read our drop-in policy here. Drop-ins are $20, or we'd love to sell you a t-shirt for $25 instead! TYLER PLAYS A LOT OF EMINEM. WTF? All hate mail should be directed to dave@crossfithierarchy.com. Dave never shuts up about Philadelphia Sports. WTF? All complaints should be directed to tyler@crossfithierarchy.com. We have answers! Hit us up via email at info@crossfithierarchy.com. We enjoy talking about the stuff we love!